Hi. 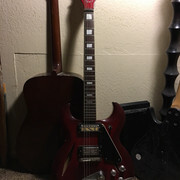 I recently acquired a guitar and I was hoping someone around here might be able to tell me a little bit more about it. 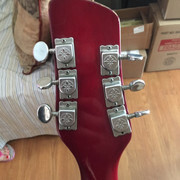 It doesn't have a serial number underneath either pickup. They were known as Boomerang pickups. 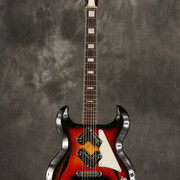 The body style was Shrike - came with different pickup options, on board EQ electronics, etc. 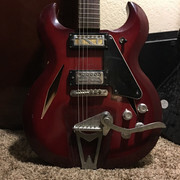 How could I go about finding what pickups are in it? Hard to say.... I'd question if they are original since they are a mixed pair. 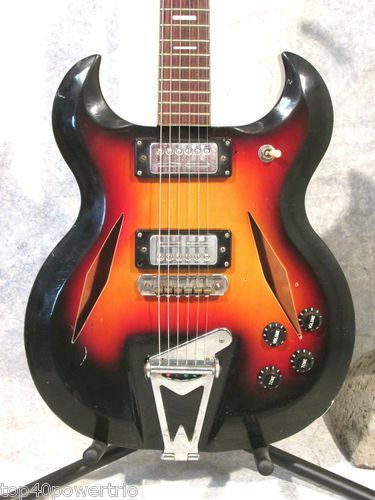 The gold foil neck pickup looks like an old DeArmond or Teisco. You might want to pop them out and have a look on the back of them for any identification info. 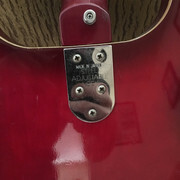 I checked the pickups when I got the guitar but they were blank.